There's something about eating in a hotel restaurant that I love. It feels grand and luxurious (when done right), especially when said restaurant is on Pall Mall in the grade II listed Sofitel London St James. I picked Lucy up from a Jensen's masterclass in Bermondsey where we jumped in an uber and headed to central to check out the new menu at The Balcon. In charge of the kitchen is Matt Greenwood, who's worked at some of my favourites including Smokehouse, Caravan and Providores before he joined The Balcon in December 2015 where he's created a menu with a real fusion of global influences. The room itself is beautiful, with double height ceilings, grand columns and lots of marble, which we admired from our table on the raised area overlooking the rest of the diners in the brasserie style restaurant. We kicked things off with a glass of bubbles and starters to share - seared mackerel with falafel, sumac yoghurt and confit tomatoes; and grilled scallops, boudin noir and apple croquette and carrot pickle. 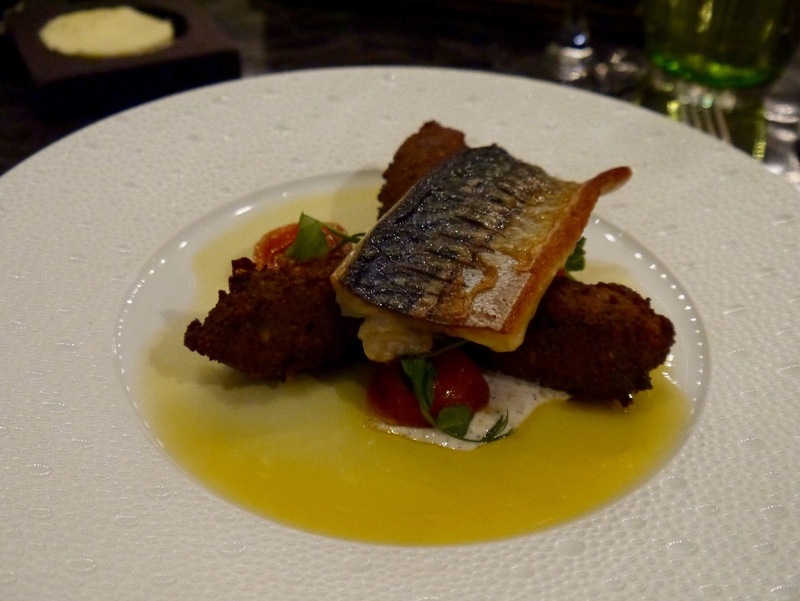 Both were lovely - the fish in both was perfectly cooked, I liked the moisture balance in the mackerel dish with the oiliness of the fish working well with the falafel, though the sumac was barely discernible. 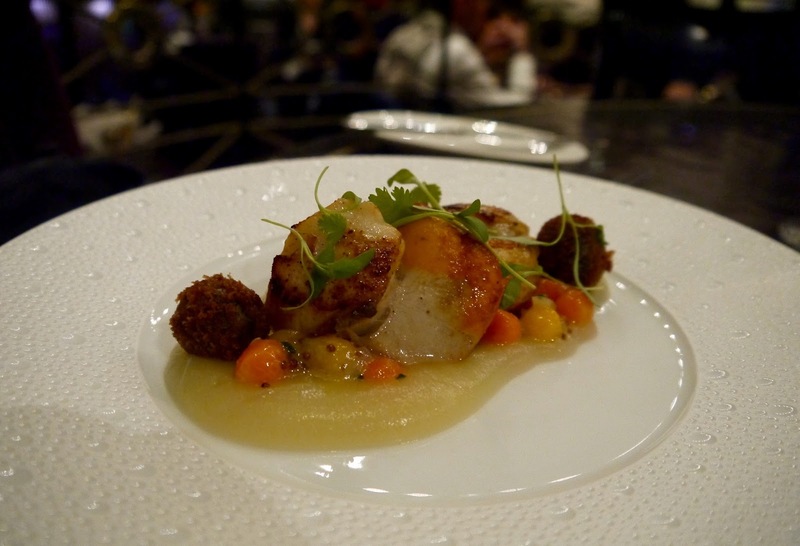 The apple went excellently with the scallops - clean plates all round. Starters were good, but mains were brilliant. My main was actually really similar (on paper) to a dish I'm serving at my pop up restaurant on 19th March as both feature lamb and pearl barley. 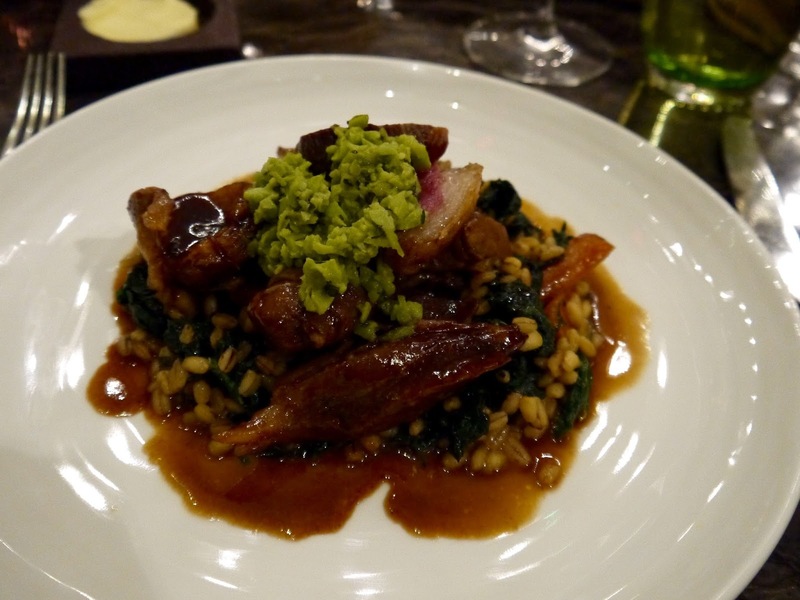 The Balcon's version was heavenly - Elwy Valley lamb rump and shoulder, pearl barley, roasted carrot, cavolo nero and broad beans. The barley still had a bit of bite to it, while the lamb was so tender and flavoursome. A really hearty yet light dish that was the perfect winter in to spring plate of food. 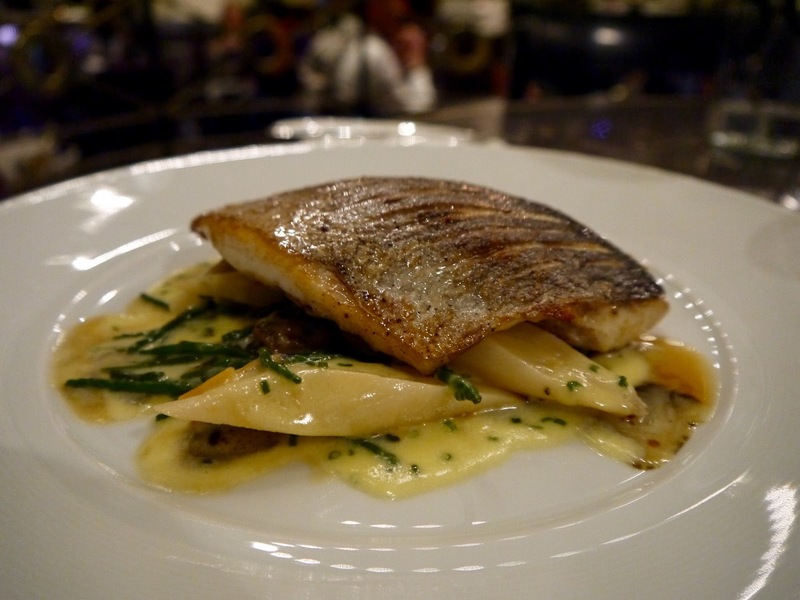 Lucy had crispy skinned sea bream with clams, samphire, salsify, laverbread and chive beurre blanc. Another winner. I tried some and the salty samphire and laverbread was really good with the fish and chive sauce. 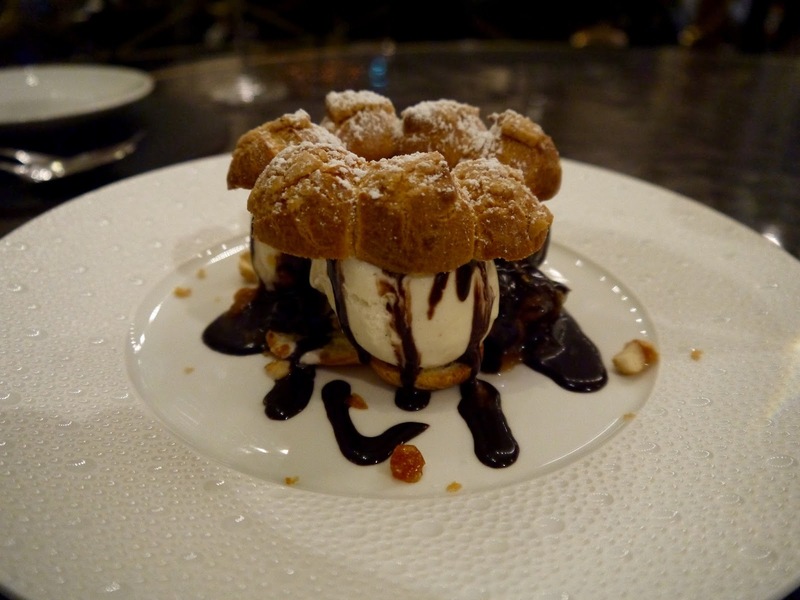 We shared a pudding of profiterole with banana caramel, vanilla ice cream, hazelnuts and Frangelico ganache, because how could we not! Sticky, sweet and decadent it rounded off the meal along with an espresso each. For its location and quality of food The Balcon is pretty good value - starters are in the £8-12 range, and mains start at £15, while the wine list offers carafes from £19.50. The menu will change with the seasons so if you want to try any of these dishes make you sure book in soon! Wonderful recipes. I like it all. Thanks for sharing.